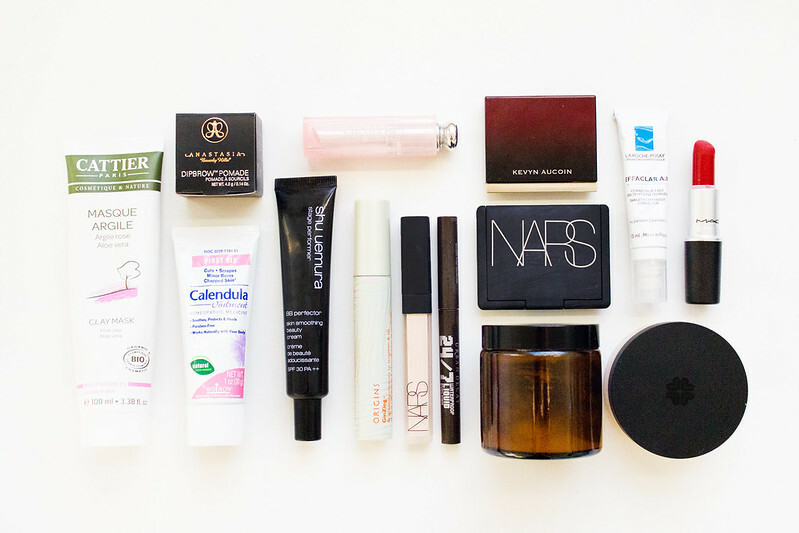 These are my personal cult beauty classics I feel like I couldn't live without. I've heard so many great things about the NARS creamy concealer and all of their other products, really hope I can try them out someday! And I think Russian Red is such a gorgeous true red, it seems perfect for a festive party. I have only recently got the Dip Brow and oh my eyebrow gods, it is amazing! I thought it was overly hyped up but it really does an fantastic job! Love this post, so much purchase inspiration haha! I love the mac matte lipsticks, though I'm a ruby woo girl! Did I mention to you yet that I visited lush for a new attempt at going grown up for skincare??!! I thank you hugely!! Oh yeah, and in now a little cleansing obsessed! I love NARS products and Mac Lipsticks but I recently discovered that I may just like Revlon lipsticks a tiny bit more. Anyway, I'm still debating that. I've got to try Anastasia's brow range. That's on my wishlist for the next year (or for whenever I run out of my current line up of things). I love that UD liner, and would love to try that mascara! Dipbrow is the one. I'm always intrigued by the Shu Uemura BB Cream when you mention it too - I hadn't really heard anything about their makeup range before but I'm keen to now. I really love Dipbrow; I used to use a dark brown eye shadow, which worked perfectly but Dipbrow is a lot nicer to use and Candlelight is just beautiful. It's my absolute favourite BB cream; I have trouble finding foundation that matches my skin and this is a true BB cream that works amazing on its own or as a primer. I would definitely recommend it. When I first bought it I couldn't find any reviews of it, so I took a chance and now I'm super pleased I did. I don't know why people don't rave about the UD liner more, it's AMAZING. It works way better than any of these pen type liners. I'm not really a fan of drugstore make-up BUT I love the Rimmel Kate Moss lipstick range. Lady Danger is gorgeous, I don't own it but it's definitely on my list. It totally is! It's so natural looking and a little goes such a long way. It's honestly worth every penny, I don't think I could use any other concealer now! I really need to buy this Anastasia Dipbrow everyone is loving right now! It took me a little while but between yourself and Celina from The Celution I finally got around to purchasing the Dior Lip Glow. I really do like it so far, it's working really well for me. A pink clay mask sounds interesting, I haven't heard of that before. Kevyn Aucoin Sculpting Powder in Medium is quickly working its way into my can't-live-without items! Awesome - I love it :)) It's an instant repurchase every time I run out; it's so easy to wear and, to be honest, I almost always wear that because I can be lazy with lipstick..! The Dipbrow pomade and MACs Russian Red are definitely my favorite! I haven't tried the rest, but I'm thinking that I might have to try a few things out! I have to say I am really loving NARS products, was solely using Laura Mercier, but they discontinued the foundation I was using, and was recommend NARS...certainly would recommend, and I have uber sensitive skin.